Special Tech Teach: Save the Pacific Northwest Tree Octopus! 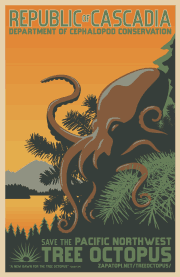 Save the Pacific Northwest Tree Octopus! 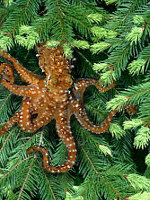 "The endangered Pacific Northwest Tree Octopus (Octopus paxarbolis) can be found in the temperate rainforests of the Olympic Peninsula in the Republic of Cascadia, peacefully frolicking in the conifer trees." 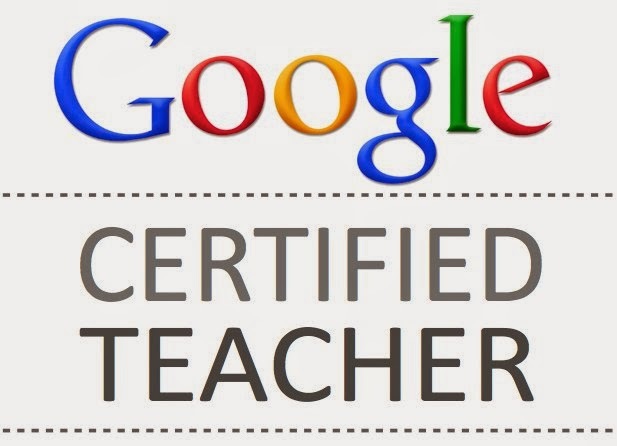 Not only is pulling an April Fool's Day prank on your students a great way to take a break from the seriousness of pre-high stakes testing, it can also provide a learning experience! By coincidence, today my class was scheduled to visit the Media Center to work with our Media Specialist +Danielle DeCarolis on using databases such as EBSCO for finding resources for their Infographics. I took the opportunity to discuss source reliability by visiting the ever-popular (and very fake) website about the Pacific Northwest Tree Octopus. As a Do Now, I asked students to visit the website and fill out this graphic organizer with information from the website. After about five minutes of silent reading and recording, I asked students to share out what they learned. Then, I hit them with the big question- "Did anyone find anything STRANGE about this website? ", followed by a HUGE laugh from the class, and "I can't believe we fell for that!" Next, we followed up with a discussion on reliable sources. We discussed the features of the website that made it seem real, and discussed why having sources such as newspaper or journal articles and encyclopedia entries are more reliable than trusting every result from a search engine. We had a great laugh together, and I think they learned something too! I'm sure they will not forget the Tree Octopus! Great April Fool's spoof. I liked the culinary arts section! (Inserting the spaghetti into hot dogs and then cooking in boiling water actually works!) Great lesson idea! Teaching the Drag and Drop in Google Drawings, or "Wait, you actually USE Drawings?" Google Form Tip: How to Prepopulate a List in "Choose From a List"